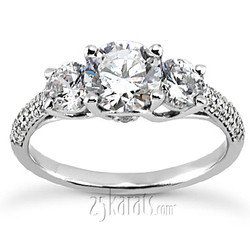 This bestseller three-stone engagement ring is the right choice for elegant fingers! 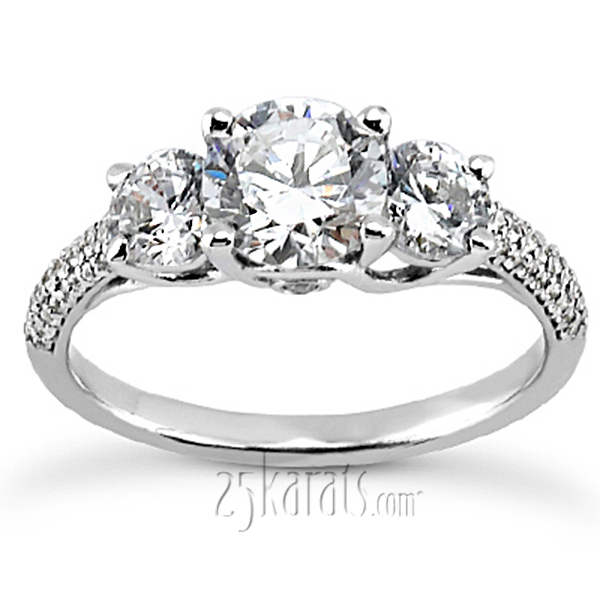 Finished with two round cut diamonds and micro-pave set side stones, this gorgeous ring can be set with a 1.00 ct. round diamond. 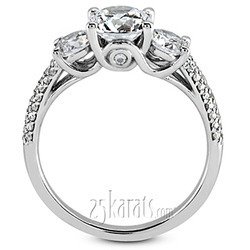 This engagement ring is available in 14k gold, 18k gold, platinum and palladium. 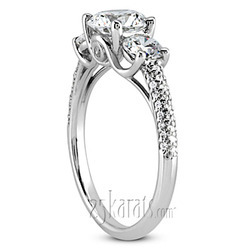 Carat Weight / Size (each): 0.002 ct. / 0.8 mm.